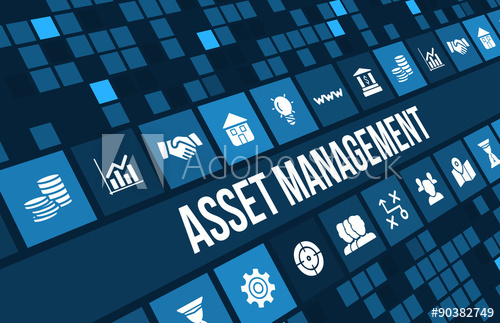 Asset management, broadly defined, refers to any system that monitors and maintains things of value to an entity or group. It may apply to both tangible assets such as buildings and to intangible concepts such as intellectual property and goodwill. It’s a systematic process of operating, maintaining, upgrading, and disposing of assets cost-effectively. Alternative views of asset management in the engineering environment are: the practice of managing assets to achieve the greatest return (particularly useful for productive assets such as plant and equipment), and the process of monitoring and maintaining facilities systems, with the objective of providing the best possible service to users. It also involves the balancing of costs, opportunities and risks against the desired performance of assets, to achieve the organizational objectives. It is considered to be the act of obtaining or buying goods and services. This process includes preparation and processing of a demand as well as the end receipt and approval of payment. It often involves purchase planning, specifications development, supplier research and selection, price negotiation, inventory control and stores. The process of procurement is often part of a company's strategy because the ability to purchase certain materials will determine if operations will continue. Business will not be able to survive if it's price of procurement is more than the profit it makes on selling the actual product. It is a method of calculating the depreciation of assets by which the asset is depreciated by the difference in its value at the end of the year over its value at the beginning of the year. A calculated adjustment to a country's official exchange rate relative to a chosen baseline. The baseline can be anything from wage rates to the price of gold to a foreign currency. There is a provision to create the active departments where in physical assets can be used. Under one branch/sub organization there is a possibility of several departments or combinations of departments using the Fixed Assets collectively or individually. This activity is taken care in to its best of the user applicability and operations. As against the Category creation, Locations are also can be created up to three levels. Main Location, Sub Location and Physical Location. It follows the Tree structure very stringently while defining the Categories and Locations in order to suffice the set standards for Fixed Assets Management Systems. It provides the facility to the new businesses who are migrating from their legacy systems to the unique feature of Opening Balance feature where in the Assets Acquisition Details, Put to use details, Accumulated Depreciation as per Companies Act and Income Tax Act balances which are existing as on the date of migrating is being captured and loaded in to the system. This assist the smooth of flow of transactions for the assets which were existing and their accounting treatment, depreciation, reporting formalities etc are taken much care. Period verification of Fixed Assets is necessary as per the statutory requirement and also for internal control. It caters to fulfill this requirement by providing unique user friendly screen where there is provision to select the asset records based o Location, Department, Asset Code wise etc. This helps the verifying officer to have a list of complete fixed assets basing on different categories. The Date and time of verification taken with remarks and deviations are recorded in this screen. :“Loans and Advances” module helps in tracking Loan details of the employee. Payroll Loans & Advance is a type of short-term unsecured loan for employees,allowing employers to release payroll funds in advance. Through this module employee can apply for loan, his loan request status can be viewed and if his loan request is approved, then the loan term and the recovery of amount through EMIs can be initiated and these details can be entered in the module. There is a feature provided to transfer the assets within the department under the same organization and transferring the asset to other branch/sub organization. While transferring the asset outside the office premises, its accounting and financial treatment is given much care and standards are followed against Inter Branch Financial postings and adjustments. Whenever the management feels the assets have to be disposed either in normal cases or in clearance of scrap, this functionality is enabled. Under this there is a provision of Bulk Sale and Bulk Discard. Asset Code wise Asset can be sold or discarded for profit/loss. Information regarding Cost of the Asset, Sales Value, Accumulated Depreciation as on date of Sale/Discard, Profit or Loss on the proceeds of the sale, Customer or miscellaneous party information is stored for the records and auditing. Necessary accounting is provided to record the physical movement of the asset from the Fixed Asset Register. Necessary Asset Maintenance Contracts and agreements are maintained and services are utilized as per the said terms and conditions laid down. It provides asset code wise AMC details tracking to facilitate effective use of asset maintenance and services.